The holidays are almost here. Your personal commitments are about to increase threefold. But you barely have enough time to manage your business, home life and ensure the kids get to soccer practice as it is! As an entrepreneur, mum, wife, daughter, or all the above, you most likely have a lot of competition for your time, attention and energy. This holiday season, it’s time to bring a little balance back into your life. So, how do you balance work, family life and sneak a little time for rest and relaxation? You begin with conscious living. When someone asks for your time or attention, it’s easy to respond in the same way you normally would – it’s a habit, after all. But when was the last time you stopped to consider if you want to do what is being asked of you? Perhaps you don’t want to host a family celebration at your house this year. Maybe you would prefer not to pack three kids, five suitcases and the family dog into the car to trek 450 miles to visit relatives you haven’t seen all year. Or possibly, you can’t wait to start these festivities. Either way, conscious living is about making conscious choices. It’s about saying yes because you WANT to do those things, not because it’s what you always do. It’s saying NO because you don’t want to do something, not because it’s the first thought that came to your mind. Conscious living IS how to maintain work-life balance during the holiday period. The biggest problem in entrepreneurship today is running yourself ragged. As an entrepreneur, it’s easy to tell yourself you’re free because you don’t have a boss and you make your own decisions, but it’s just as easy to find yourself working 18 hours a day. Your partner gets frustrated with you because you’re never home. You’re always running around after the kids but never spending quality time with them. You’re struggling to find time to grocery shop let alone cook tasty, nutritious meals. And a nice, relaxing soak in the bath only happens in your dreams. Many entrepreneurs fall into the trap of believing they’re supposed to be exhausted, because busyness equates to productiveness. But that’s far from the case. The problem with believing hard work is the key to success; it’s easy to fall victim to the “I’ll do it when” mentality. But these choices, whether conscious or not, keep you stuck on the hamster wheel of busy work, unable to enjoy the freedom you dream of achieving. It’s easy to become so busy that you forget you have a personal life in addition to your business life. The worst part; when you start missing quality time with your children, partner and friends, they feel it. It’s only natural they start to wonder where they sit in your priority list. Why not embrace the personal life you already have? You had a personal life when you started your business. The possibility of creating a better lifestyle for your family may have even motivated you to try working for yourself. But somewhere along the way, you got caught up in the overwhelm of being a business owner, and your personal life started to drift down your priority list. Now that doesn’t mean you stopped caring about your family, friends and even yourself. Far from it! It’s likely you just got caught up in the day-to-day stressors, and things have changed so slowly you didn’t notice the progression. The thing about progression; it goes both ways. By committing to making more conscious choices, you can work your way back from a life centered around business, to one with more balance. A quality life is one where you’ve created enough space to enjoy it. 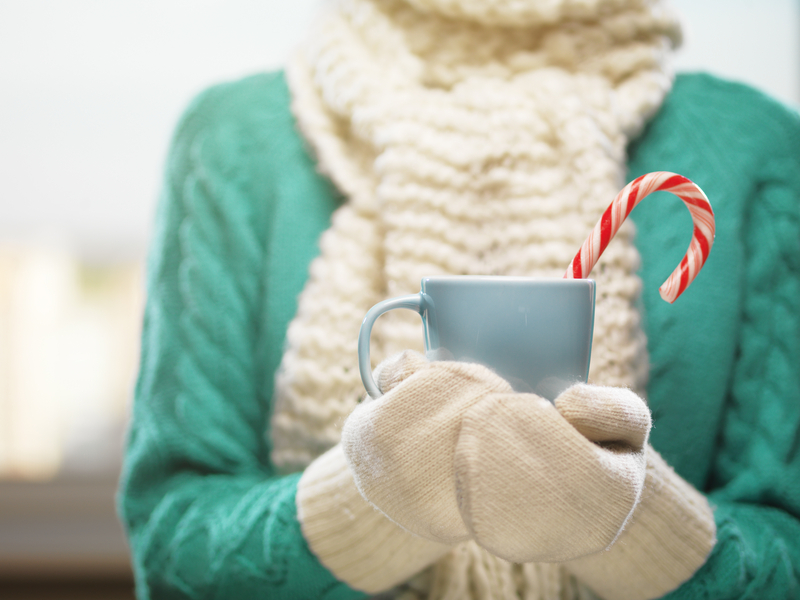 If you haven’t created that space yet, try using these tips throughout the holidays to kick-start your healthier, balanced life. Looking at work-life balance strategies through a practical lens is tempting. But first, it’s important to recognize that change starts in your mind. Without shifts in thinking, practical strategies are just band-aid solutions. So, before we talk about how to get through the holidays, read through the following six strategies, and learn how to improve your work-life balance mindset. As a business owner, it’s easy to get sucked into meeting everyone else’s needs. Like when you open your email inbox, the first thing to find is 3 ‘urgent’ emails. Before you know it, it’s 1 pm, and you haven’t even glanced at your to-do list. It’s human nature to respond to the issues as soon as you’re made aware they exist. But did those tasks serve you, or did they simply keep you busy all morning, while your productive work sat idle? The best way to avoid reacting to the needs of others is to understand what success looks like to you. Once you have a vision of success, you can develop a plan to achieve your goals by identifying which tasks will get you there. When you shift your mindset to prioritizing only the tasks which take you closer to success, not only do you free yourself from the trap of busy work, you also start moving towards your goals in leaps and bounds. More importantly, you free up time and headspace to focus on what matters to you – in both your work and personal life. Identify what matters (and what doesn’t). As a business owner, you likely know what you want. Picturing your end goal is easy. But what about what you don’t want? But what if you’re already working 35 hours per week, and accepting this contract would make you unable to take your son to his football games on weekends? In this instance, knowing you’re not prepared to miss your son’s football games quickly shifts the answer to “thanks, but no thanks”. When you say ‘yes’ to something, you’re always saying ‘no’ to something else. Make sure you know what you’re giving up before you commit, and if it’s too big a sacrifice, just say no. It’s ok! When your business is in your pocket 24/7, it can be hard to resist the temptation to work when you feel the vibration of a message, email or notification. But this can be a slippery slope which starts with a quick check of a message and ends with your child crying because they’re trying to show you something, and you’re not paying attention. When you have your answers, take it a step further and schedule these tasks in your calendar to ensure you’re giving enough time, attention and energy to your business, your loved ones and yourself. Be mindful during quality time. It can be tough to balance your responsibilities as a business owner with your responsibilities as a parent and partner. Especially if you work from home, it’s difficult to draw the line between work and personal time. For example, when you’re sitting in the kitchen and your child is talking about their day, but your mind is drifting to the half-finished project you plan to complete tomorrow that’s sitting on your desk just a couple of feet away. At times like this, you’re straddling the line between work and personal life, never switched off but not quite paying attention to your loved one either. To combat this, make an effort to remove distractions and be completely present in the moment. Be focused and productive during work hours, so you can leave work at work when the clock chimes ‘home time’. Then when you’re doing the daily debrief, you can give your child the attention they deserve. Allow yourself to have time off. Think back to the last time you were an employee. You had time off right? Like weekends, holidays and even sick days. When you became a business owner, why did you suddenly stop needing time off? I know, I know… you’ve got so much work to do and if you don’t do it, nobody will. But if you don’t look after yourself, nobody else will do that either. What’s worse, you’ll run yourself into the ground and eventually find your body will force you to stop. I understand it’s hard to take time off when you’re feeling anxious about your overflowing to-do list, or guilty about not working. But you have to give yourself a break to relax and recharge, so when you do work, you’re able to perform at your best. If you’re struggling to take time off without feeling guilty, read my latest 5 for Friday post for tips on Taking Time Off. Guilt Free! Whether it’s making a conscious effort to change your mindset, identifying what matters to you, setting boundaries or planning your schedule, always base your decisions around the life you want to live. The choices you make everyday shape your life. You’re the only person who has the power to choose to live the life of your dreams. So go live it, YOUR way! Now that you’ve worked through the mindset based work-life balance strategies; it’s time to make some space so you can enjoy the holidays. When you’re busy during the holidays, it’s easy to forget about work. But when you put your feet up with a glass of wine in hand, it’s all too common to find your mind drifting to the list of work tasks you have to complete when the holiday is over. Sometimes, this can lead to anxiety about returning to work, or worse, guilt about relaxing when there’s work to be done. To create time to relax, plan ahead. Prepare and schedule any emails, blogs and social media posts for the first week after your holiday. That way you know you’re ahead of the game, so you’re not tempted to whip out the laptop for a sneaky, late night writing session when you’re supposed to be taking a break. A business owner’s biggest fear after a few days off is returning to the dreaded email inbox. The anxiety surges as you click the ‘sign in’ button, expecting to find a mountain of emails which will likely take you three days to sort through, setting you back before you even begin. Now, it’s normal to get some emails while you’re away from your inbox. But to reduce your email stress, tell your clients, partners and contacts in advance that you’re taking some time off over the holidays. If they know you’re going to be away, you’ll be surprised how empty your email inbox will be when you return. Remember, nobody (except maybe you) expects you to work every day of the year. At this time of year, it’s likely that many of your contacts will be taking some time off too. So grab the opportunity with both hands, and spend your time worrying about whether to have ice cream or whipped cream with that extra piece of pie. The holidays are a time for celebration… so, celebrate! If you have staff and/or colleagues, plan something fun together. If you’re a one-woman show, gather some friends together and plan your own holiday party. You deserve a celebration after working hard all year. So make it a work task, add it to your calendar and have some fun. My work-life balance is not the same as your work-life balance. We both have different priorities, values and commitments. While these strategies can guide you in the right direction, it’s important you take the time to work through these steps to ensure you’re creating the life you truly want. Ultimately, you need to do what works for you. How to maintain work-life balance after the holidays. The holidays are a time to relax, put work on the backburner and prioritize life. But that doesn’t mean you should put work on hold for a few weeks, then switch back to a work focus mode as soon as the calendar hits January. Try to implement these strategies during the holidays while you’re feeling less stress and pressure. Then make a conscious effort to carry your new work-life balance strategies into the new work year. Need a little help to relax? Taking time out is supposed to be a relaxing experience, but sometimes it opens the door to overwhelming anxiety instead. Like constantly considering your endless to-do list, worrying about how much work you have or even worse, feeling guilty for taking time off. Affirmations and actions for change to keep you focused and in total control of relieving your anxiety. Click here to learn more about my MOVE Meditation streaming service. To a relaxing holiday season!